St. Rose of Lima, partoness of South America, is celebrated August 23. 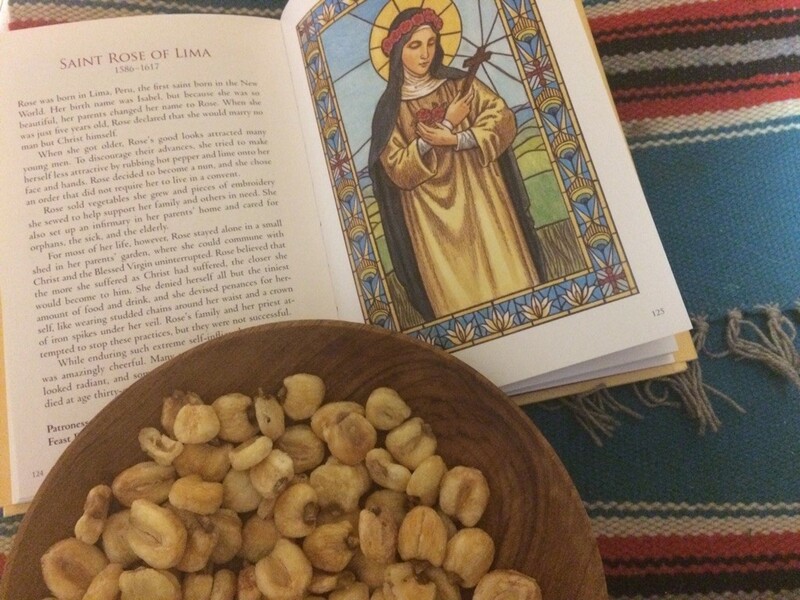 An idea for a simple snack on the feast of St. Rose (or other Peruvian saints) is the traditional Peruvian cancha, a popular snack made with a special type of large-kerneled corn called maíz chulpe. 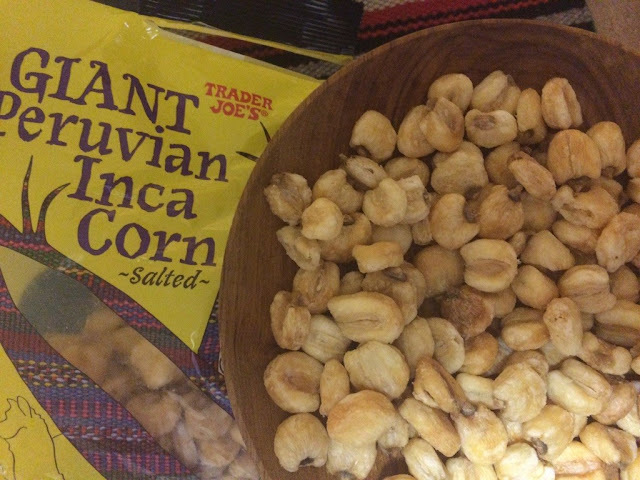 The dried kernels are tossed with oil and toasted in a hot skillet until they are browned and puffed.Trader Joe's makes their version of this snack - a Giant Peruvian Inca Corn which is very tasty. We love snacking on it. Since it is a ready made snack would be really easy to pull out for the feast day as an alternative to making your own. We opted for the ready made Trader Joe's version, but if you want to make the homemade version, it is as easy as popping corn. See recipe for details. Heat oil in large, heavy-bottomed skillet on medium heat. Add the chulpe corn and toss to coat with the oil. Cover and cook, shaking the pan periodically to keep the kernels from burning. The kernels will begin popping (without turning inside out like popcorn) and turn golden brown. Cook until popping subsides, about 5-8 minutes. Drain on a plate lined with paper towels. Salt to taste. St. Rose of Lima, Pray for us.